With a potential lifespan of more than 1000 years, the beech tree is affectionately known as the ‘Queen’ of English trees. Their striking presence and exceptional crown certainly do bring to mind royalty, with the colours changing exquisitely through the year, from vibrant greens to rich, deep auburn shades. Despite the extreme majesty of the beech tree, they are susceptible to some very harsh diseases which can be fatal. By learning the warning signs of beech tree diseases, you can act quickly in treating your beech tree early, or sadly to remove it to avoid any harm coming to you or your home. A harsh disease that can befall your beech tree is Beech Scale Disease. It is caused initially by an insect called the Cryptococcus, which feeds on the tree and therefore weakens it. It is this weakening that causes the beech tree to get sick, as it allows a deadly fungus to infect the beech tree which will ultimately lead to the death of the tree. Due to this, prevention is your best hope; use fungal sprays and treatment oils to avoid your beech tree getting sick. 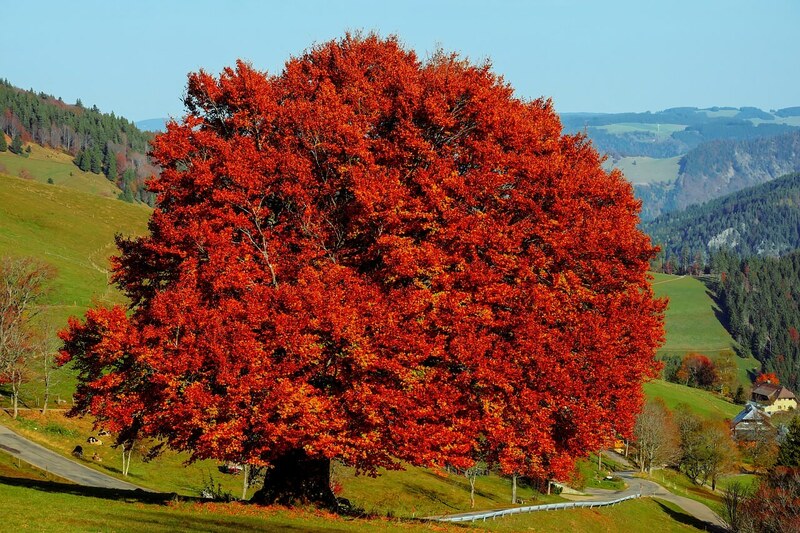 However, if you spot warning signs of Beech Scale Disease including a waxy-look on the bark of your tree, or red-coloured perithecia sprouting, contact a tree surgeon urgently. Beech trees are sadly susceptible to root rot, so it is imperative that you learn how to spot the warning signs of this. Experts agree that root rot can cause serious damage to property or even harm people as the tree can topple, so contact a specialist urgently at the first signs. Warning signs of beech tree root rot include cracked bark, limbs dying or severely weakened, and mass amounts of yellow or orange fruiting structures that eventually turn white. If you spot this fruiting, that indicates that a significant amount of damage has already been done and you should act extremely quickly. Mildew on beech trees is localised to young branches and foliage at the base of the tree. You can spot the warning sign of sickness quite easily with Beech Tree Mildew, as it produces a tell-tale dusting that looks like white powder on the leaves of the trees. Mildew in beech trees is caused primarily by an over-crowding of the tree, so you may find it is due to poor air circulation and shrubbery huddled too close to your beech. If you’re concerned about a beech tree on or near your property, you are wise to seek help about this. These magnificent, mighty tree can cause disastrous damage, so if you spot any of the above warning signs, or feel the health of your tree is questionable, make sure to act fast to protect yourself and your property. In many cases, you may even be able to save the tree, so it’s important to respond quickly. We are on hand to discuss any of your worries and can visit you to inspect your beech tree free of charge, at which point you’ll receive expert advice from our ARB Approved tree surgeons. Call us now on 0113 239 1271.